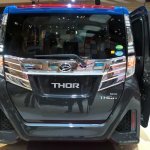 Present at Daihatsu's pavilion at the 2017 Gaikindo Indonesia International Auto Show are a couple of products from the company's Japanese portfolio - the Daihatsu THOR Custom and Daihatsu Move Canbus. 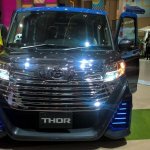 The THOR Custom belongs to the Toyota Tank M900/M910 family. This JDM-spec car features a quirky exterior with a very generous use of chrome on the grille and boot lid. The heavily sculpted front and rear bumpers feature large faux air intakes. 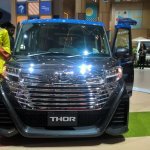 The THOR Custom present at GIIAS 2017 is finished in black with a blue roof, blue alloy wheels and a blue stripe along its side. The car appears to have been lowered as well. 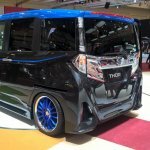 The 5-door boxy bodyshell features sliding rear passenger doors. 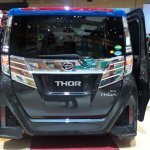 In Japan, the THOR is powered by a 1.0 L petrol engine mated to a CVT. 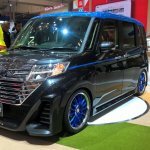 Daihatsu currently does not sell the car in Indonesia. 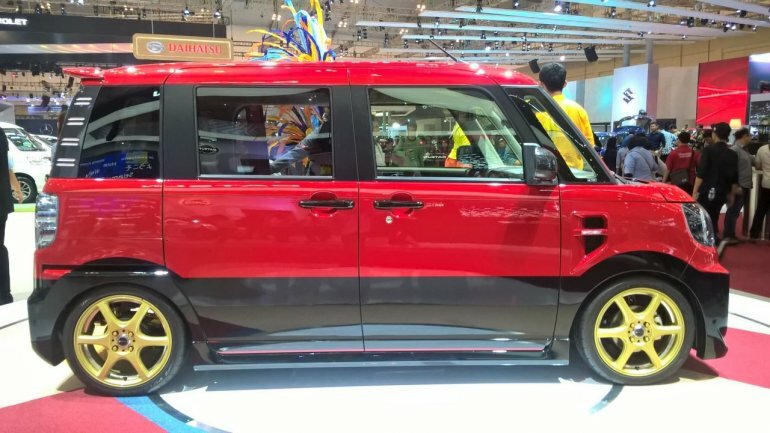 Another Daihatsu JDM model on display at GIIAS 2017 is the Daihatsu Move Canbus Sport. In this particular avatar, the cutesy Move Canbus has been given a sporty makeover. It gets a dual tone red-black paint finish along with faux carbon fibre detailing on the ORVMs and D-pillars. 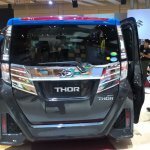 The front bumper gets massive air intakes along with an 'S' badge on the grille. 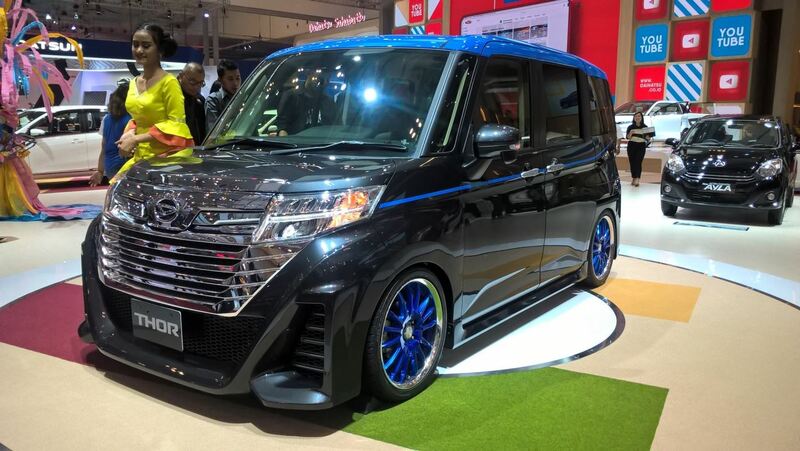 The Daihatsu Move Canbus rides on 6-spoke golden alloys. At the back, the bumper features a triple exhaust pipe setup along with a roof mounted rear spoiler. 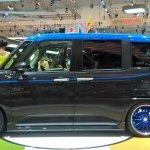 The cabin is met with a similar treatment as well with red-black seats and matching Momo sourced leather steering wheel. There are red highlights on the dashboard and centre console as well.